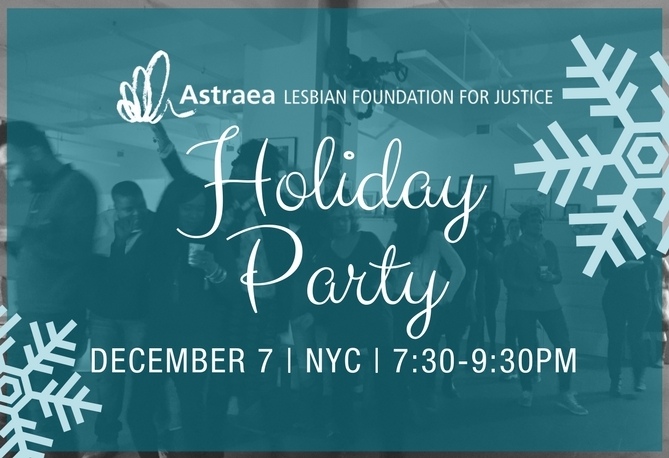 Join us on December 7th from 7:30pm-9:30pm for Astraea’s Holiday Party, as we continue celebrating our 40th Anniversary and prepare to wrap up 2017. Bring your dancing shoes, as we will have on ours—DJ Sakir will be spinning music. Thanks to everyone who attended the event! We were grateful to have everyone in the room.